Pick up from the hotel/Airport and proceed to Shimla and check Inn hotel then after some rest start singhtseen tour to Wildflower Hall, Holiday Home, Advance Study and Museum and rest in hotel. Pick up from the hotel after breakfast and visit Kalbadevi Temple, Jakhu Temple, hanuman Temple, or stop for a while at the beautiful stained-glass – windows of Christ Church. Afternoon excursion to Kufri- a 30 Minutes drive from Shimla. Evening free to enjoy the scenic beauty of Kufri. Also visit Fagu, and enjoy horse riding in the apple orchids (optional) and rest in hotel. Pick up from the hotel and proceed to Manali on the way see beautiful Kullu valley, Beas River, Dashehra maidan then check Inn hotel and in the evening enjoy Mall Road and rest in hotel. Pick up from the hotel after breakfast and visit Hadimba Temple, Manu Temple, Vashisht Temple, and Tibetan Monastery then in the evening enjoy by own and rest in hotel. 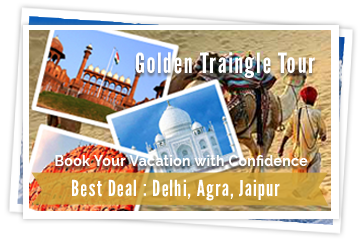 Pick up from the hotel and visit Kothi, Gulab Fall, Marhi, Rohtang pass and Solang Valley and rest in hotel. Pick up from the hotel and proceed to Chandigarh and check inn hotel then after some rest visit Rock Garden, Pinjore Garden and in the evening enjoy sector 17 then rest in hotel. Pick up from the hotel after breakfast and come back Delhi and drop to your destionation in Delhi. The tour is finished here but memorable memories stays with you. Copyright © 2016 Chaman Duggal Private Tours. All rights Reserved.